Happy Wednesday! 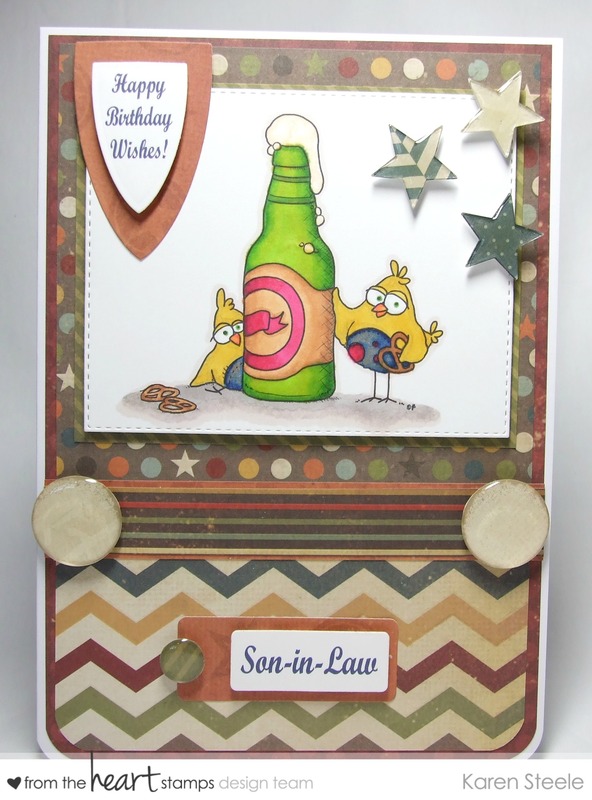 I’m back today to share some midweek inspiration at From the Heart Stamps using this great image called Birdbrain Brew. If you want to check out what the DT have been up to please have a look round the blog and be inspired! I also used papers by Recollections – Awesome Boy, Memory Box Stitched Rectangle, Spellbinders Shield and Label Dies, Epiphany Star and Circle Tool and Spectrum Noirs. The sentiments were done on the computer. < Previous Scrap n’ Dipity – Beary Love…..
Too CUTE with those crazy birds…hehehe! Such a fab masculine card! I think you managed to add lots of fun details and keeping it very much masculine at the same time. Brilliant! This one is lots of fun! Fun colors, and elements, and layout! This is my favorite “guy” image. Love your wonderful design!